When one thinks of wine, the vineyards of France and Napa Valley comes to mind. 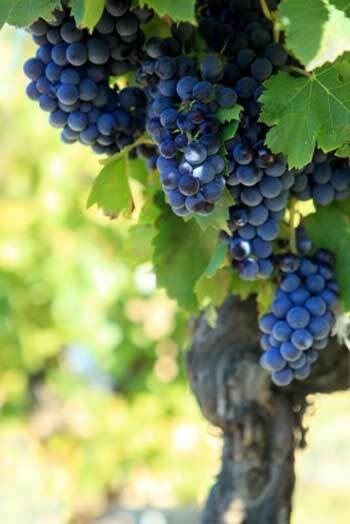 But in recent years, Michigan has joined California, Oregon, and Washington as being top producers of grapes. Michigan's cool climate region, along with sufficient water and nutrient rich soil, is the perfect recipe to grow quality grapes. From these grapes come delicious dry and semi-dry wines, sparkling wines, and dessert wines. 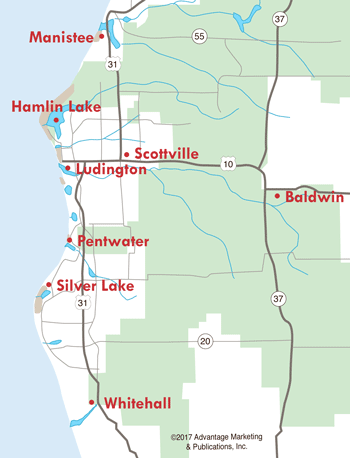 The major wine regions are along the Lake Michigan shoreline, from New Buffalo in the southwest region, up through Saugatuck and into the Leelanau and Old Mission Peninsula in the north. Here in central western Michigan, we have four vineyards and wineries that are producing top quality wines. Set upon land that was formerly a railroad station stop, Douglas Valley is an organic agricultural community on rolling hills that overlook Lake Michigan just outside Manistee. Their vision is to transform this 640-acre fruit farm into a new development that is environmentally friendly. They feature award-winning hard ciders and wines, and are open Monday-Saturday 11am-6pm and Sunday Noon-5pm. Take M-22 north two miles from the Little River Casino Resort in Manistee, turn right on Schoedel Rd and go 1.5 miles. Pentwater is the location of this small winery, just one mile from Lake Michigan. They supplement their French hybrid plantings with harvests from the Leelanau Peninsula and other local vineyards. During the winter, their tasting room is open Friday, Saturday, and Sunday from noon-5pm. They are located 11 miles south of Ludington, just off US-31. This fast-growing winery in Freesoil has seen production grow from 500 bottles to 5,000, featuring many varieties, including Riesling, Chardonnay and Cabernet. This husband-wife team bring a spirit of fun, passion, and love of winemaking to their work. Their tasting room is open by appointment November-April. They are located between Ludington and Manistee, just 1.5 miles off US-31 and Freesoil Road. Located in New Era, this winery has been in operation for 24 years, and they're known for producing wines that are made from a blend of different vintages. They are a relatively small operation and sell only at their winery and a few area stores. Tartan Hill Winery is open seven days a week from noon-5pm, and is located 30 miles south of Ludington. Take the New Era exit and travel 1.5 miles west on New Era/Stony Lake Road to 52nd Avenue. Click here for a complete list of wine shops and wineries.